Cinque Terre is a stunning and yet rugged stretch of coastline hugging the western coast along the Italian Riviera, in the Liguria region. It is a tourist destination's "all - in dream package" because of its proximity to the most dramatic coastal scenery you could imagine. 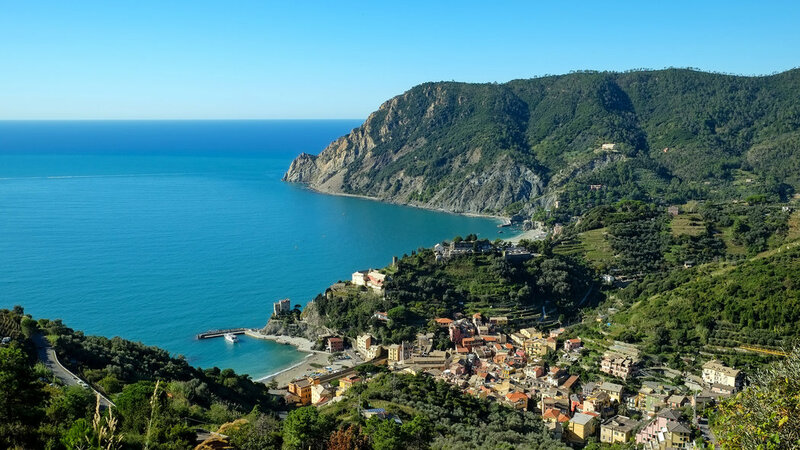 A Unesco World Heritage Site since 1997, Cinque Terre is a backdrop of five fishing villages that dotted along the coastline to the west of the city of La Spezia. Here, endless strings of adjectives to describe this jaded beauty will let you remember words long lost in your mind that beauty is not the only word that can describe itself. Five villages, the Riomaggiore, Manarola, Corniglia, Vernaza and Monterosso who are conveniently facing the sea is forming a unique territory of limitless 18 kilometers of rocky coastline with deep blue water bays and sandy beaches and mountains that runs parallel to the coastline.